You know what’s a funny word? 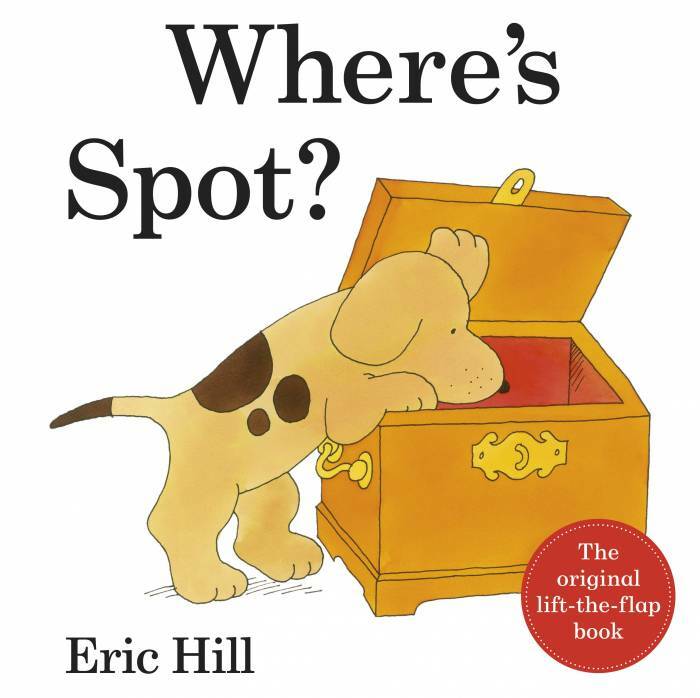 “Spot.” Spot is a very funny word. And don’t stare at it too long, or it will stop looking like a word altogether. Fair warning. Spot can be a dog, of course. I know this because I work in a public library, and also because Eric Hill started publishing books in the early 80’s, and that was when my children began to enter our family. This Spot goes in the “board book” section of our library, where things are not alphabetized unless some new or randomly zealous employee gets a sudden fit of Straightening Against the Chaos, ignoring the fact that this will be the shortest lived straightening possible. Board books are like the beings who love them – they are joyously unstraightenable. Spot can also be the thing you’re trying to eliminate when you’re doing laundry. (Please use something nontoxic for this spot removal.) Or, spot can be something you do (“spot the error”) or it can be something you have to live with (the spots in vision that tend to come with age are called “floaters,” for example). There are also spot lights, spot fish (also called the “spot croaker,” a saltwater fish). And people sometimes pause for a spot of lunch. See? It’s a very funny word, spot. Spot is also a ballet technique. That’s what keeps going through my head lately. Spotting is a ballet technique that combats dizziness. Our teacher taught it to us in the class full of little girls who were also learning the five positions and the plié. It goes like this: you find a spot – a place across the room, or a room’s corner or something on the wall – something that remains stationary – and you keep your eyes on it while you rotate your body in a turn … until you can’t. When you begin to lose sight of it, you whip your little head around and catch it again. When a dancer is “spotting,” the head turns faster than the body, even though both head and body turn the same number of times. Feel how the management of the dizziness sort of causes its own disorientation? In order to remain upright and to continue to spin, one kind of dizziness is exchanged for another – the debilitating is exchanged for the deliberate. And lately I’ve been thinking that this is exactly how I feel. I feel like a little kid again, trying to stay on my slippery slippers instead of ending up on the floor, while I spin. This is a familiar sensation. By now, I’ve had to learn to spot while spinning a lot of times. I’m in the middle third of my fifties (never mind how a decade gets cut into thirds), and every few years since I was one of the little girls in that ballet class, I’ve had to learn it all over again in my life. 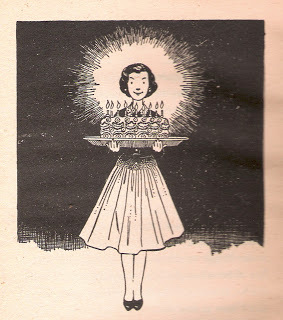 One of Louise Darling’s wonderful drawings done for the Beverly Cleary books; this one is from Beezus and Ramona. When I went away to college for my first degree, I had to learn to spot the certainties of my family and friends at home in order to keep my balance across the country as I spun into my adult life. When I got married, had babies, lived at 12 addresses in 15 years (my husband was in school and we moved a lot), I kept my eye on what would hold still so that I would not end up spinning out of control. My husband held still. My faith (usually) held still, even if my practice of my faith learned to twirl, and to leap, and to take new positions. In the first five and a half decades of my life, I learned to find the place of stillness and whip my head around just in time to keep from falling. 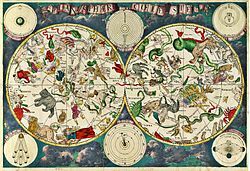 Health problems have converged with healthy aging, and financial problems have joined hands with new opportunities, and new habits that will have to be learned are butting heads with old habits that are hard to avoid, and it is hard to teach an old dog new tricks, but that’s not because the old dog can’t learn. Old dogs have a problem with new tricks because every new trick has to fit in with the old ones and there are so many old tricks when you’re an old dog. Lately life feels as if we’re all living in a shoebox diorama, and the diorama has been grabbed by one of the children in the board book section, so that our whole world seems to have shifted. The dollhouse furniture of our lives has toppled over again. Our little mountains and our glitter stream are acting like the paper and glue they’re made of. There have been so many changes so rapidly that I’ve just written a paragraph with far too many metaphorical images in it because the particulars are still something I’m avoiding and they’re not holding still – or not still enough so that I can keep them in view. But really, the particulars are somewhat of a different question, right? I mean, if you’re spinning, you’re spinning. What I learned to do when I was a child was to find the thing that did not move, and then to move myself while keeping the still things in view. Children who do not have the privilege of stability all around them cannot learn this. The human brain rebels. The chemical imbalance begins. Attachments are more difficult because in order to grow roots, the soil has to remain where it is for long enough for a growth cycle to complete itself. I had that. I had enough stability to have enough of a childhood that was enough like a child’s ballet lesson that I learned to spot stability in my life. And then, while I was concentrating so hard on staying upright that the beads of sweat gathered on my face and shoulders, while my sweat turned into little streams that dripped into my leotard, I grew up. A spot can be a dog, and a spot can be an eye floater or something you have to take care of before you put your shirt into the washing machine. A spot can also be a place on the wall on the other side of the gym, or it can be another dancer, or it can even be a star so far away it almost disappears from view if you look too hard. And a sky full of those spots, all in motion, all the time, is how a sailor finds a way home. 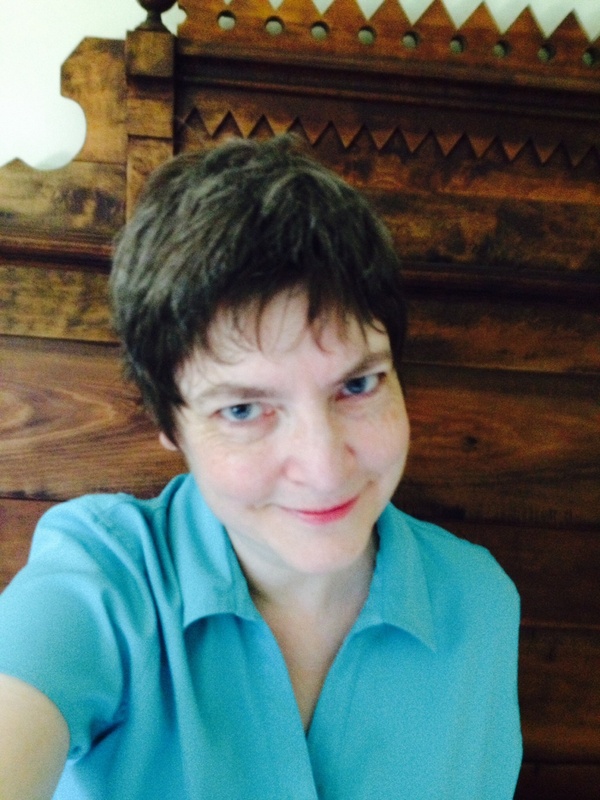 Stephanie Lillegard is a writer and teacher, living in the Columbia River Gorge. She has recently graduated from Marylhurst University with an Interdisciplinary Studies major, and is looking toward an MFA in Creative Writing. In the meantime, she keeps finding ways to spin and keep her balance – mostly. Stephanie, I love your essay, your metaphors and your visual references! 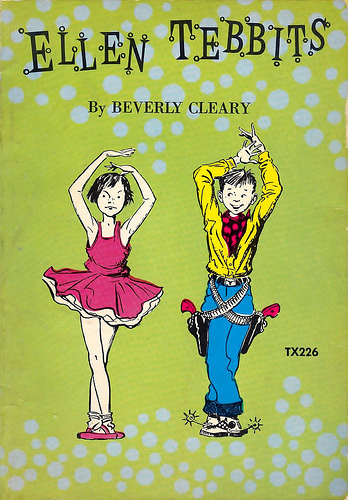 Those books bring back good memories, (I think the illustrations from the Ramona books are permanently etched in my mind). Your words perfectly describe the process of seemly constant re-orientation our lives demand if we are to grow and remain present to our experiences. Thank you for a refreshing perspective! Thanks, Erica! It’s really good to know others have the same kind of spin going on!